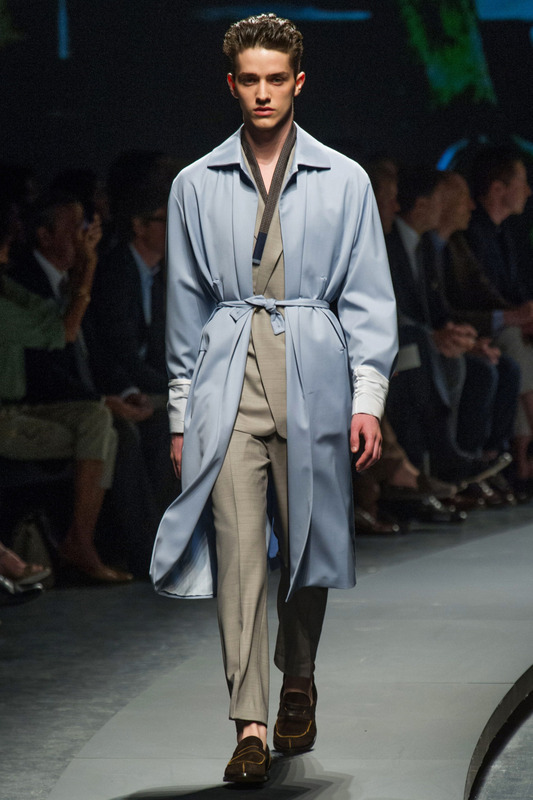 With the men's shows for spring 2014 in full swing down the fancy runways of Europe, we've seen lots of very grown-up looks for gentlemen that have the kind of lifestyle that requires full-length baby blue duster pajama coats (Stefano Pilato for Zegna) and three piece grey wool suits (Umit Benan), but only Miuccia Prada was brave enough to be so adult that she went straight up dad swag with a run of 1950s-style Hawaiian prints. They're basically the expensive version of something you might find in a box labeled "Cabana Wear" in the attic of your childhood home, and that's what makes them awesome. We need Tommy Bahama cargo shorts and a Mai Tai stat. See the rest of the collection here.